Buying Flagstone is an article designed to give you helpful tips before you make your purchase. There are a number of things to consider about flagstone before making your purchase at a landscape stone supplier. This article will help you better understand these products and how to estimate your needs. If you are entering our site on this page, the Dream-yard team welcomes you. This is just one section in our series of estimating landscape supplies. It is a great place to start for "how to flagstone" projects like, walkways, paths, and patios. If you are looking for stone patio ideas, visit our picture ideas gallery, or follow us on pinterest by clicking on the follow us button. We have over 6,500 categorized landscaping pictures for ideas for your yard. We suggest you first read the short introduction on Estimating Materials, then the Landscaping Yards Introduction. They contain some other tips and information that work with this article. The links to these two articles, and other related articles can also be found at the bottom of this page. Where does flagstone come from? We visited one of these yards to put this article together, and would like to add a special thanks to Ornamental Stone. Flagstone comes from rock quarries, and is brought in by truck to be sold at the landscape supply yards. At the quarry or mine, heavy machinery will chip and break apart the sedimentary rocks. It is then separated, palletized or caged, then shipped to different landscape supply yards. Before we get into a little bit of flagstone talk, let us first give you a definition of the word "Flagstone". 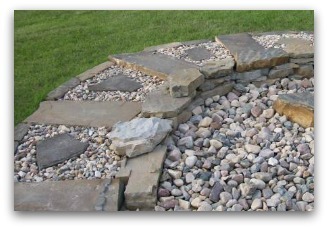 This display represents a few uses including flagstone stepping stones and a small flagstone wall. Photo compliments of Dream-yard. Flagstone is a collective landscaping term used to describe natural rocks used for walkways, patios, and for stacking in a stone wall. They are generally pretty flat, and like "flags", come in a wide range of colors. The most common type of flagstone products used are sedimentary rocks (layers of materials compacted over time) like slate, shale, and sandstone. Limestone is another sedimentary rock and can sometimes be used as flagstone. There may be other types available to you locally, but these are the most common ones. Flagstone can also be cut or "manufactured" into tile stones. You can often find these well protected in crates at your landscape supply yard. This type of manufactured flagstone could be anything from slate to reclaimed granite. Examples of manufactured or cut natural stone. Cut natural stone as shown above is used for formal landscape designs of patio areas. It can also be used for indoor flooring. Uncut natural stone retains its (random) shape, and is often used for more informal use like, dry-laid (mortarless) patio's, or walkways. Stone walls are also almost always built with uncut stone. 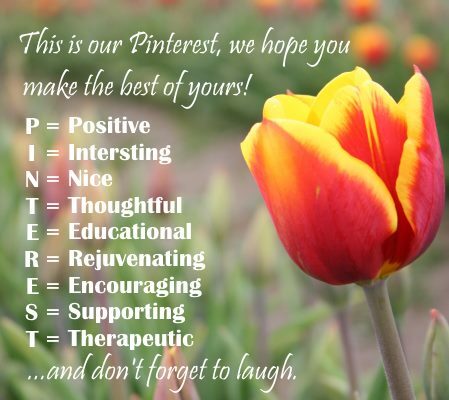 These are some typical uses and ways they are categorized. Although these standards are not carved in "stone" (pardon the pun), they are pretty common. Let's start with larger stones. These larger slabs (not always referred to as flagstone) can be used for landscape stairs, steps, bridges, large water features, stone benches and rock sculptures. Smaller pieces of this thickness can be palletized or caged, and sold as blocks or wallstones for building stone walls. They are also great for edging and borders. The picture below is a great example of how natural flagstone can come from a quarry. Natural Stone pallets of wallstones and landscaping stairs. You can expect steps and benches to weigh 300 pounds and up. These usually require special equipment, or a few strong backs to place. You can very easily get hurt moving stones like this, so I would recommend leaving these to professionals. Thinner flagstone is commonly divided on pallets in 1, 2, 3, or 4 inch thickness because of the ways it is used. You may also see combinations like this sold as 1-2 inch, and 2-4 inch, depending on the supplier. 1-2 inch flagstone is best used when set in mortar on a concrete base. This is called "Bedding". The concrete base provides support the thinner stones lack on their own. The advantage to using thinner stones in this application is that coverage per square foot is much greater. You will be able to put this savings towards the cost of the concrete base. It is not recommended to use stones less than 1 3/4 inches in thickness for dry-laid (mortarless) projects. Some people claim that you can, but the risk of breakage (cracking) is greater. I know the coverage price is higher using thicker stones, but you may end up paying more in the end to repair poor work. The smaller the pieces, the thicker they should be. (Do it right once, the first time). 2 inches is the optimum thickness for dry-laid patio and walkway projects for stability and strength to resist cracking. I prefer to use up to 3 inches for stepping stone paths. They are stronger, and most stepping stone paths only have a small amount of sand underneath them for a base. The cost always goes up as your coverage goes down, but strength and stability will outweigh the replacement value. 2 inch flagstone, with large flagstone on far right. (Above) The three pictures on the left are 2 inch flagstone for informal landscaping. The picture on the far right is of thick slabs for landscaping steps or placement type walls. Very large flagstone pieces for patios are usually packaged standing on end in crates as shown above in the third picture. These are great for building patios more quickly. The larger the slabs, the less the number of stones you have to level and settle. However, they do require more than one person to handle. You can expect them to weigh an average of a couple of hundred pounds. We have explained this a few times on this site, but for those of you just joining this page we are going to cover this again. Rocks don't have common names everywhere in the landscaping world like a botanical plant name. They are frequently named after the region, or quarry they came from. This can be difficult when you find something on the internet with a specific name and ask for it at your local supply yard. They may have it, but call it something different. Just be aware of the color and composition, or try to have a picture. If they don't have it in stock, they may be able to get it for you. The physical qualities (composition) of each type of flagstone make them suitable for different projects in your yard. What we mean by this is that some flagstone can make a great garden wall, but a terrible patio surface. You have to be practical when choosing a material for this reason. Let's give you a couple of more examples of this. Some stones are prone to pieces or slivers chipping off and may not be practical for a patio. Sometimes the surface might be slippery and dangerous to walk on when wet. Flagstone can split from severe heat if it is used to close the edge of a firepit. You also have to be careful when building a flagstone wall that requires chipping and trimming of edges, corners, and the face of the stone. Make sure you don't choose an excessively brittle stone that will shatter on you. This can get costly when you are paying for your materials by the pound. You always run the risk of wastage from broken stones, so here is a great video on working with stone to help you eliminate that risk. (This guy is great). Don't worry about getting it exact unless you are working with cut (manufactured) flagstone. Very rarely does an experienced landscaper even get this right, but it isn't the end of the world for them. It doesn't cost them much time because they are going to landscaping yards for materials every day. As a homeowner, you don't make daily trips to the landscape supply yard, so be as close as you can with your estimates. (preferably a little over.) The advantage is a savings of time, money, and the inconvenience of having to do multiple trips to the yard for more rock. It also allows you to quote your work with more accurate dollar amounts. So let's call this the "best educated guess", given the fact that there are some tough variables in the equation. Flagstone can have different densities, thicknesses, and sizes that can affect your estimates. The biggest challenge when estimating for stone walls is density and size. "How many square feet of wall facing will one ton of stone cover?" 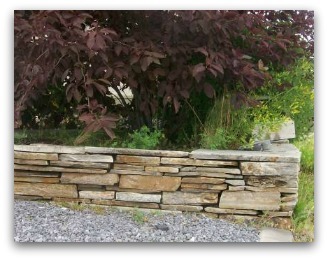 For example: 1 ton of Limestone may cover 40 square ft. of wall, while 1 ton of slate may only cover 30 square ft. So keep in mind that limestone blocks may have a better coverage per square foot than slate due to the internal density. When dealing with the density of the stone, your landscape supply yard should have this information for you. In most cases they can tell you from experience, feedback from customers, and information from the suppliers. This may be a little tougher to do if it is a new product they haven't sold a lot of yet. A pretty good average is 1 ton of stone will give you a coverage of 30 to 35 square ft. of wall facing. I have seen my coverage as low as 25 square ft./ton with very dense slate and as high as 40 square ft./ton with some lighter stones. Always check with the supplier to see what local landscapers are getting for coverage. The formula looks like this on paper. (wall length times wall height) plus (wall length times wall width) = wall cubic feet. Figure out your square ft. facing of wall first by taking the length of the wall and multiplying it by the height. To get the cubic feet of a wall you will then have to add this to the average thickness of the wall. A wall 30 ft long, 3 feet high, and a standard average of 1 ft. wide, will look like this. 120 divided by 35 = 3.4 tons of stone used in this above application. I always order an additional 5% to account for wastage from breaking, trimming and splitting stones. This is normal. The more skilled you are at these techniques, the less wastage you will have. The above application may end up becoming a little more than 3.5 tons. How does the thickness of the wall affect your estimates? When we talked earlier about size affecting your estimates, here is another explanation according to the above scenario. This is something that most stone salespeople do not explain to customers. Generally, you want to keep the thickness of walls up to 2 ft. in height, around 1 ft in thickness or more. If the stones are consistently smaller than a foot in width, your coverage may be greater, but it will come at the expense of strength and stability. Garden walls up to 1 ft in height can be built with a little less thickness (6 to 12 inches). Coverage amounts for these will usually run around 40 to 45 ft/ton. Garden walls don't need as much size and weight, because they are not retaining as much soil. Walls 3 to 4 ft in height should have a thickness of 1 1/2 ft or more. Your coverage will be greatly reduced, but the stability is important. In this case, your coverage may go down to 25 or 30 square ft/ton. You may have to do some splitting of larger stones when you have them on site to accommodate the estimates you have made for your project. The biggest challenge with estimating your requirements for a patio is the thickness of the stones. Another difficult part of an experienced landscapers job. You are going to have some stones that are 1 3/4 inches thick and others that may be 2 1/4 inches thick. This difference can easily throw off your estimates by as much 10%. Most quarries are pretty accurate when putting together pallets for the market, and they know that 2 inch thick stones are widely used for patios and walkways. You shouldn't see more than a 1/4 inch variance in thickness. Two inch thick flagstone will generally cover around 70 to 80 square feet. I have had my coverage drop to 60 square ft./ton with 3 inch flagstone. On the other hand, I have had my coverage increase close to 100 square feet/ton with 1 1/2 inch flagstone. Again, these are only rough estimates and can always be affected by the density of the stone. The most important thing for you as a homeowner is to understand that these are only estimates. It is a tough job estimating requirements for flagstone. There are many variables that are often not seen. Your local stone yard should be able to help you. You may also want to inquire about the yards return policy before you purchase. Most reputable suppliers will take back stone that has not been used. Please note, this does not include stone that you have broken while trying to reshape the pieces with your stone tools. Remember that there may also be a small percent that is unusable. This is normal when dealing with natural stone. Try to find a use for these pieces elsewhere in your garden beds or yards. I have seen some pretty creative uses for small broken pieces. 5% to 10% wastage is normal. Inspect the pallets before you buy them and look for the most consistent ones you can. Your goal is 2 good relatively flat surfaces with clean edges. The same thickness is great for patios, but mixing it up for walls is better. Small broken pieces and shim stone are great for wall building as well. Try to have a bucket full of these from the yard to start working with. The rest of these pieces you will need will be leftovers or byproducts, from when you split and trim. Don't forget to visit our picture ideas section for some stone patio ideas for your project. Good luck to you with your dream yard. The goal we discussed in the start of this section was to help you to better understand these products and how to estimate your needs. We hope that we have accomplished that? If you have any specific question that we have not answered in this article, feel free to contact us directly. Let's take a final look at other landscaping materials.